A decade ago, the medical community though coffee would dehydrate you, would make you insulin resistant and would increase your risk of heart disease. Recent studies show that coffee does not negatively affect your hydration status (Killer. 2014), that higher coffee consumption is associated with reduced diabetes risk and increasing your coffee consumption can reduce your risk of T2DM (Akash. 2014) and that a “daily intake of ∼2 to 3 cups of coffee appears to be safe and is associated with neutral to beneficial effects” on coronary heart disease, congestive heart failure, arrhythmias, and stroke (O’Keefe. 2013). Against that background it may not be as surprising as it would have been 10 years ago that Joana C. Coelho, et al. (2016) found caffeine to be able to restores insulin sensitivity and glucose tolerance in high-sucrose diet rats. And yet, I personally believe that it is still worth pointing out the results of this study as the high sucrose diet the mice were fed is the same “high sugar diet” about which you will read all over the news that it is to blame for the obesity and diabetes epidemic. Against that background, it is particularly interesting to take a closer look at the data from Coelho’s study, because it is the first to actually provide a valid explanation for the observed improvements in glucose sensitivity in response to the ingestion of caffeine. Figure 1: 16-wk food intake, weight gain, fat gain and visceral fat gain according to caffeine intake (Coelho. 2016). Now, the bad news is that significant effects were only observed for the highest dose of caffeine, ie..e 1g/L drinking water. That appears to be ridiculously high, but is in fact only “very high”. If you do take into consideration that a wistar rat consumes only 100 ml/kg body weight per day, that’s a dosage equivalent of 100 mg/kg for a rodent and thus ~16 mg/kg for a human being or ~6-7 cups of coffee (over a 24h period). Yes, the dosage is high, but actually less may have more benefits, and… the most relevant benefits (reduced fat gain) were seen at a dosage that would be equivalent to only 4-5 cups of coffee, which happens to be roughly what epidemiological studies show to be in the zone of maximal benefits. Don’t mistake this as a recommendation to guzzle liters of coffee, though… and that even if another recent study shows that 400mg of caffeine will lower the fatty acid onslaught and oxidation 12 men experience after consuming a large high fat milk-shake (Crone. 2016)… and speaking of coffee: you may also want to make sure to get a dark roast, because the latter has just been found to improve glucose metabolism and redox balance even if it is low in caffeine (Di Girolamo. 2016). While I am not sure how healthy the chronic consumption of these amounts of caffeine actually is. I am aware of several people who get their 6-7 cups of regular coffee per day and are in perfect health. With that being said, the latter may be at least partly due to the the highly beneficial effects of caffeine on the expression of glucose transporter 4 (GLUT4) and insulin receptor expression and phosphorylation (not shown in Figure 2) in the visceral fat depots of coffee connaisseurs. 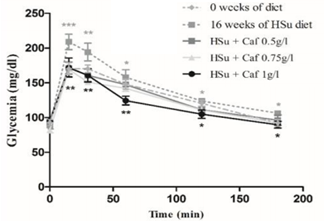 Figure 2: Effects of different doses of caffeine on GLUT4 and insulin receptor expression in rats (Coelho. 2016). The above elevations were accompanied by profound increases in protein kinase B (Akt) expression and activity, as well – an observation the scientists regard as being evidence of the fact that “[c]hronic caffeine administration improved whole-body glucose homeostasis and insulin signaling pathways in adipose tissue” (Coelho. 2016). This conclusion cannot be questioned. What can be questioned, though, is the scientists assumption that this would occur only with high doses of caffeine and in response to increases in GLUT4 and insulin receptor expression in the visceral fat. Why’s that? Well take a look at the figure in the bottom line: it shows that significant improvements in glycemia were improved at all dosages. The latter wouldn’t have been possible if the lower dosages wouldn’t have had an effect on glucose uptake, as well. Whether that’s an effect in muscle cells (which would be great), needs further investigation. The previously discussed effects of caffeine on muscle glycogen storage (learn more), on the other hand, would suggest just that: an effect on skeletal muscle, and or a reduction in gluconeogenesis which could, among other things, be triggered by coffee’s / caffeine’s ability to inhibit the reactivation of glucocorticoids by 11β-hydroxysteroid dehydrogenase type 1″ (Atanasov. 2006). As you can see sign. improvements in glycemia occured even with the lowest amount of caffeine in the drinking water. And that in spite of the fact that the GLUT4 and insulin receptor levels in the visceral fat did not increase significantly… well, maybe those in the rodents’ muscle did? Bottom line: I am not suggesting that the rodent study at hand would provide enough evidence to suggest that everyone should drink at least 4 cups of high caffeine coffee per day. What I do suggest, however, is that the study at hand provides more evidence on potential mechanisms that explain why coffee drinkers are plagued less often by metabolic disease. Akash, Muhammad Sajid Hamid, Kanwal Rehman, and Shuqing Chen. “Effects of coffee on type 2 diabetes mellitus.” Nutrition 30.7 (2014): 755-763. Atanasov, Atanas G., et al. 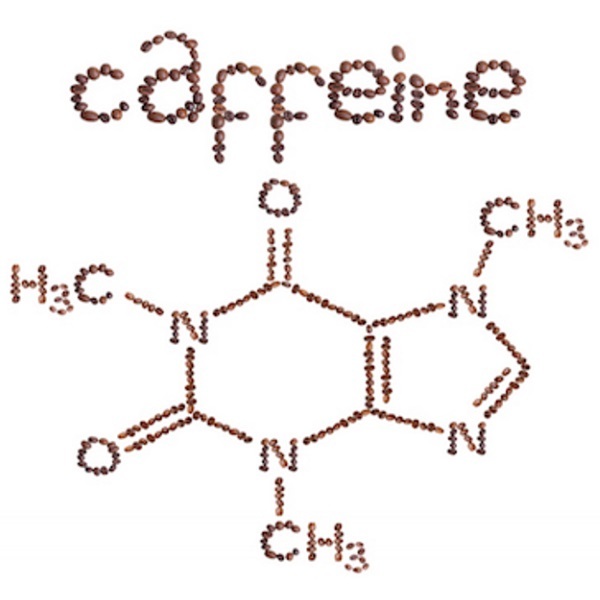 “Coffee inhibits the reactivation of glucocorticoids by 11β-hydroxysteroid dehydrogenase type 1: A glucocorticoid connection in the anti-diabetic action of coffee?.” FEBS letters 580.17 (2006): 4081-4085. Crone, et al. “Impact of Meal Ingestion Rate and Caffeine Coingestion on Postprandial Lipemia and Oxidative Stress Following High-Fat Meal Consumption.” Journal of Caffeine Research (2016): Ahead of print. DOI: 10.1089/jcr.2016.0004. Di Girolamo, Filippo Giorgio, et al. “Roasting intensity of naturally low-caffeine Laurina coffee modulates glucose metabolism and redox balance in humans.” Nutrition (2016). O’Keefe, James H., et al. “Effects of habitual coffee consumption on cardiometabolic disease, cardiovascular health, and all-cause mortality.” Journal of the American College of Cardiology 62.12 (2013): 1043-1051.